are unique and tailored for your personality. Selvage denim was the original rule-breaker: tough, cool and a complete individual. It was the spirit of the Wild West, the Working Class Hero, the Teenage Rebel. It was made for its owner, and its owner alone. But in this era of mass-production and fast-fashion, denim’s not what it used to be. What should last decades of wear and tear now falls apart in a season. Just another lightweight, cookie-cutter piece off the factory line. 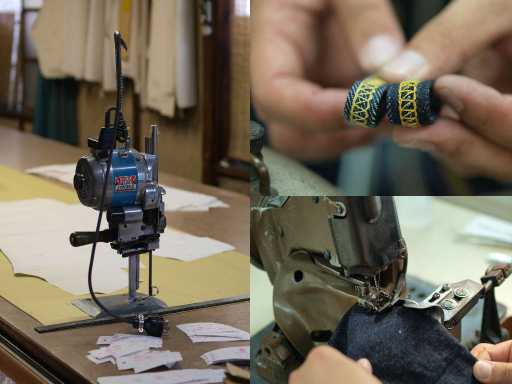 We believe that every pair of jeans should be custom and individual, just like you. 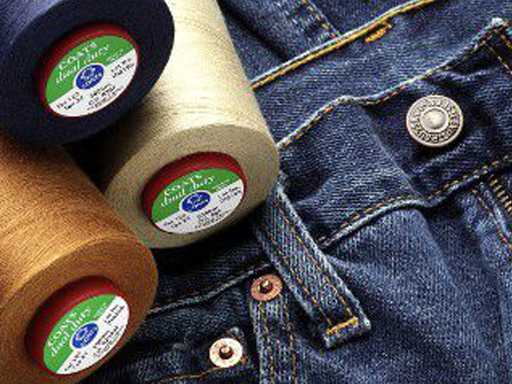 And the best—the original—choice of material is selvage. Why? Because it was there at the beginning. It’s what your father and grandfather wore. It’s the true symbol of strength, quality and tradition.Selvage comes from a time when craftsmanship was prized above all, and a pair of jeans wore the tag of its wearer. Jeans created for you, by you. Design your own custom jeans online. 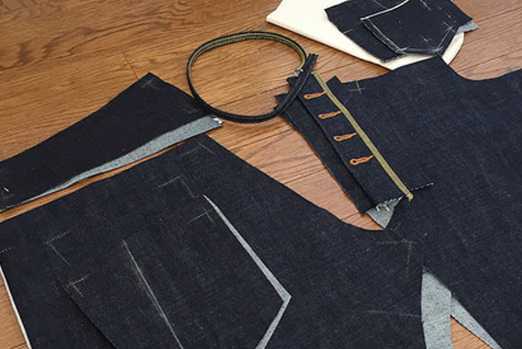 At JME Selvage, you get to be creator and designer. So leave your mark. Choose the fit that suits your body and individual style. Select the right thread colour and raw or pre-washed finish. Customize signature details, such as rivets, buttons, tags, fly, zipper and thread. Then leave your lasting mark: an embroidered patch with your name and personal logo. 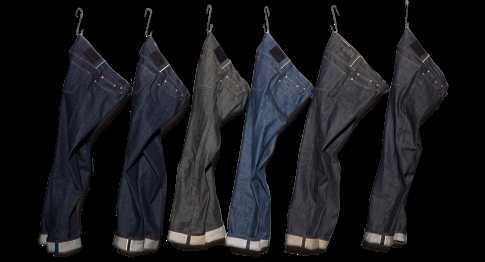 Pre-1950s, most jeans were made with selvage denim. What’s selvage? It’s high-quality, tightly-woven fabric produced on old-fashioned shuttle looms. These strips of heavy denim came off the machines already finished—bands ran down their sides to prevent fraying and unraveling. 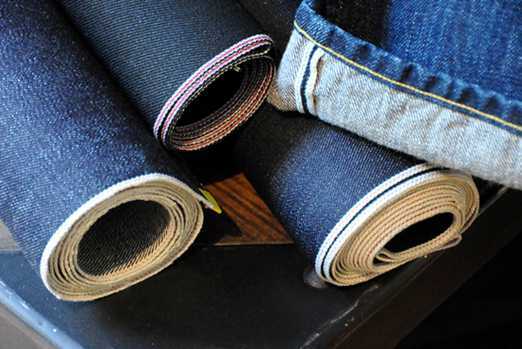 These fabrics had their own ‘self-edge’, hence the term selvage(USA) / Selvage (UK) denim. Then demand for jeans grew. Companies started using modern machines for bulk-order, thinner, cheaper denim. Unlike selvage, these jeans had unfinished edges that frayed more easily. Classic selvage denim lasts longer and has better value. It stands by you through thousands of wears, whatever your lifestyle. It has a timeless look and feel. And most of all, each pair tells the story of its owner. The patterns of wear, such as honeycombing on the backs of knees, develop from your unique body and movement. Forget pre-faded, mass-produced jeans: selvage is the real deal. A pair that is uniquely yours. We use selvage and only selvage. From the outseam , back pocket, coin pocket and belt loop, you get our premium grade denim. We believe in tradition and taking our time—everything from your tailored interior waistband to the inner coin and back pocket is fully finished. JME Denim’s minimum order of one pair of jeans reflects our craft: our time and attention goes into making something uniquely yours. Vertical Integration Model—sounds boring, right? 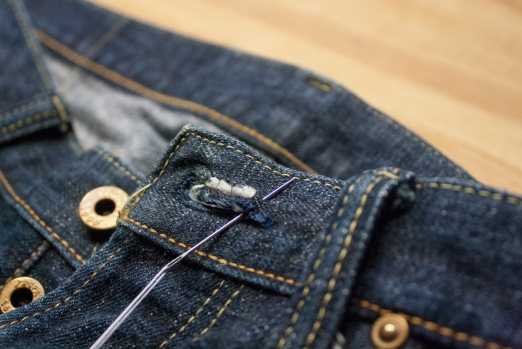 Let’s put it another way: from the moment you first contact us to the stitching, assembling and delivery of your custom jeans, you deal with the same people. JME Denim is there at every step of the process. Because that’s how we believe business should be done. Absolute quality control. Because we personally make your jeans, we can supervise every last detail. Easier, more direct communication. Have a very specific design in mind? Want last-minute changes? Get straight in touch with the people who can make things happen. A gorgeous pair of fully customized jeans. Style, quality and traditional craftsmanship—what more could you want? Designing, stitching and perfecting bespoke pieces is our craft. We never lose sight of the long lineage and tradition that’s core to what we do. That’s why every pair of jeans you receive tells a story. We always start with premium selvage denim fabric. That’s the cornerstone of our business and everything we do. And from there, we build something that can make you proud. Your jeans are custom-made just for you. In the same way, our company treats every customer as an individual. Your vision, your style, your unique pair of selvage denim jeans. Founded in 1963,our story started over half a century ago. We have thrived and evolved into what’s now a second-generation business. The cottage garment trade is in our blood. And just like our founders, we hold on to tradition: every part of the process, from the spinning, dying, weaving and final assembling is handled in our own facility. And of course, we still believe in the integrity and quality of selvage denim as the first—and best—fabric for custom jeans. 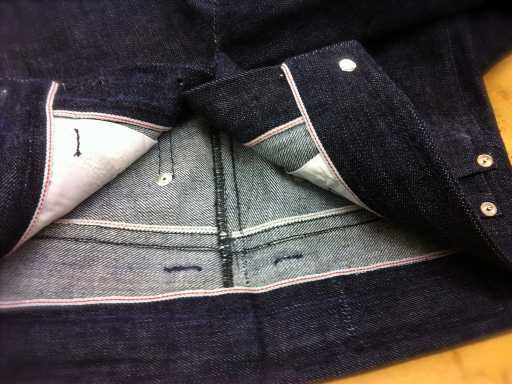 Custom-design your selveage jeans online. Turn your vision into a reality.